Zion National Park in the Sunset. We camped under The Watchman, this rock formation. Zion to Egypt to Vegas--quite a cycle. 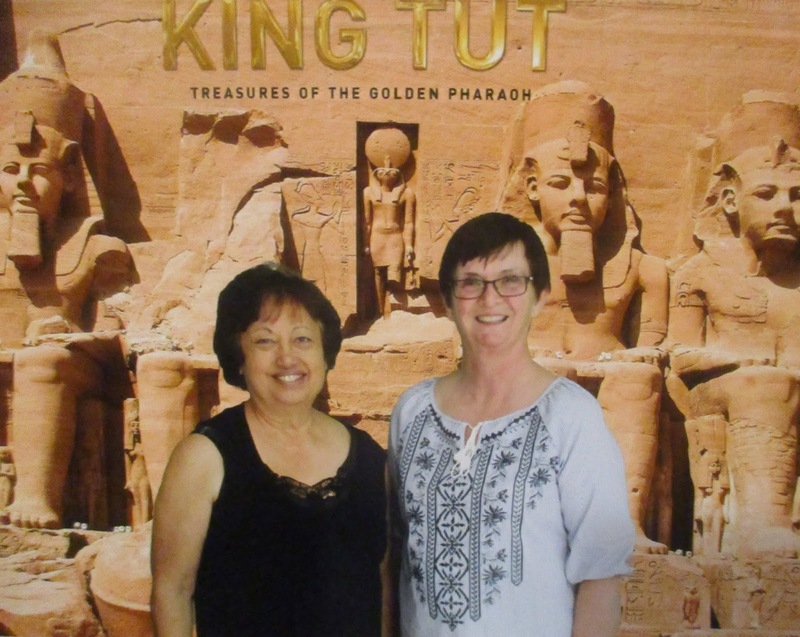 No, I wasn't time traveling, just enjoying adventures in Utah, Nevada, and California during teacher breaks. No, that is not a giant chrysalis--but a mummy hammock. My son said it was quite warm. There I am reading. I always bring a book to read in the peace and quiet. 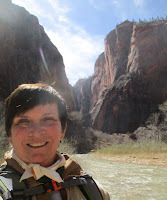 We camped in Zion National Park in Utah, under the Watchman Rock Formation. It felt very safe. 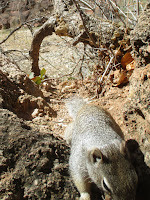 The canyons and spectacular cliffs and the lovely river, the North Fork Virgin River were dynamic. Sighting an endangered California Condor was a great highlight for my daughter, who is now studying Environmental Science. The Riverwalk was extremely pleasant. 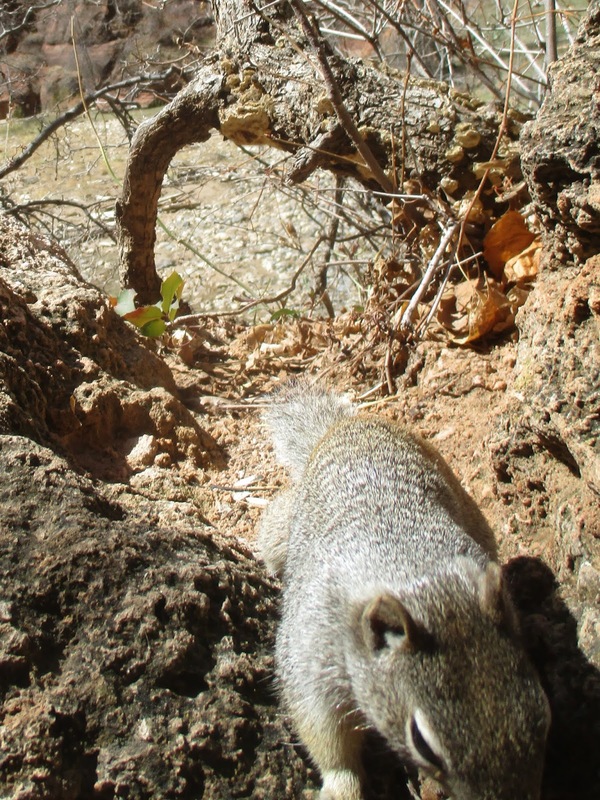 Lots of folks and lots of squirrels. We missed seeing Howard Carter. And, no, there was no curse. 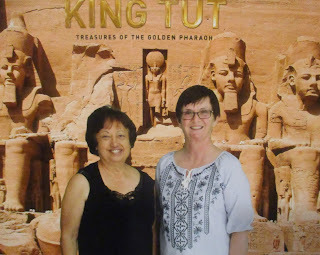 My high school friend and fellow teacher Janet and I went to visit King Tut at the Los Angeles Science Center. So very many artifacts, incredibly intricate. But not the famous Death Mask, which remained in the Egyptian Museum in Cairo. Though all the advertisements had a pic of it. Hmmm. King Tut always liked an entrance. 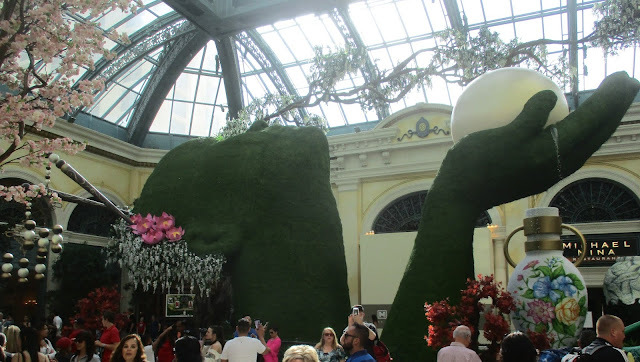 The display at the Bellagio is always so very meticulous and beautiful with a lovely serendipity. This time it was the large display of a woman holding an egg. I don't know what it means, but it was amazing. The Conservatory always provides a peaceful water feature--all is relaxing, refreshing, and there is calming music--no ding-ding-ding of slot machines here. So I'm a happy lady visiting fascinating, intriguing, lovely places with family and friends. And spending time with my grandpuppy, Skadi.